First draw, then paint like with watercolours. 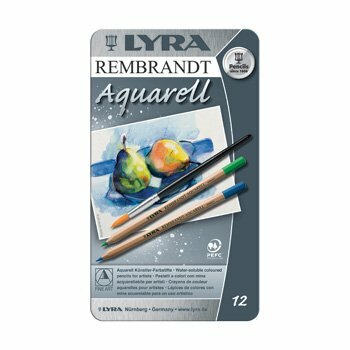 Lyra Rembrandt Watercolour Pencils can be mixed with water and have a high pigment content. The colour palette ranges from the strongest tones to the subtlest of nuances. Lines can be dissolved and harmonious blending achieved using a wet brush. 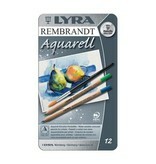 The Lyra Rembrandt Watercolour Pencils satisfy the highest artistic requirements.